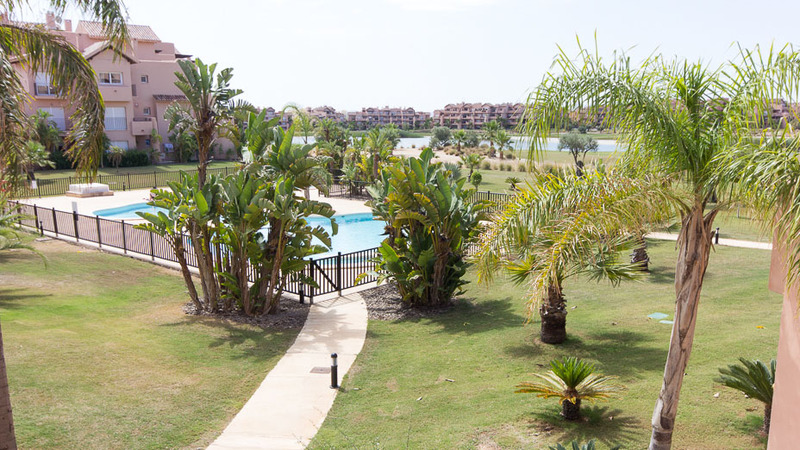 Exclusively Murcia/Mar Menor are delighted to offer this lovely, two bedroom, two bathroom apartment with free Wi-Fi and amazing views over a communal swimming pool and the golf course (13th,14th and 15th holes) at the Mar Menor Golf Resort. 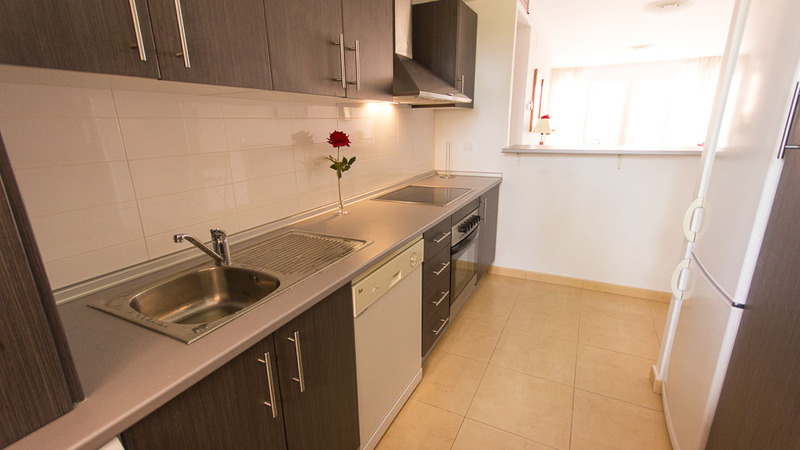 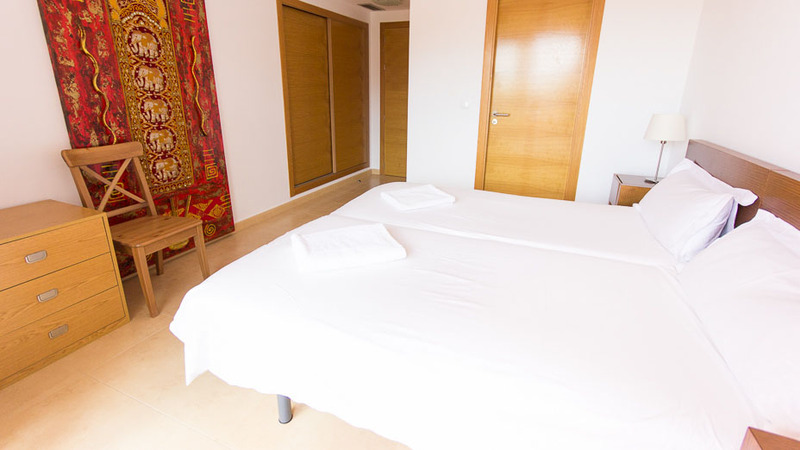 The apartment is light and spacious, well equipped and beautifully furnished. 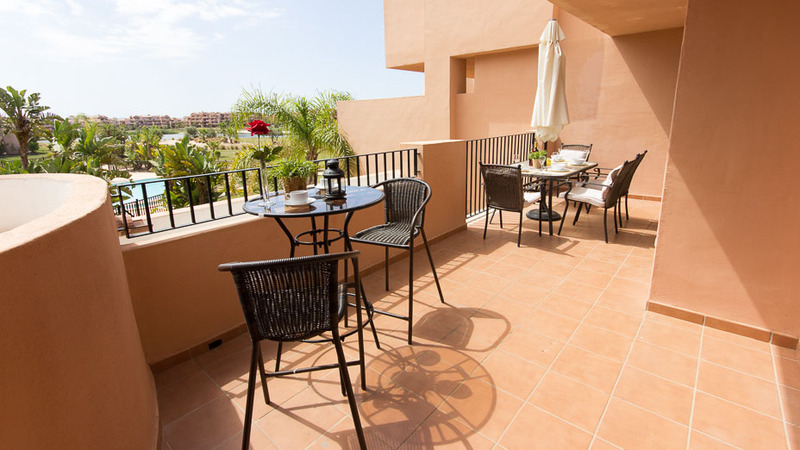 Features/facilities is UK & European TV, free Wi-Fi, full air conditioning, leather sofas (one is a sofa bed), two bathrooms, a well equipped kitchen, two large terraces that are great for dining al-fresco, fantastic pool and golf views, secure underground parking and lift access. 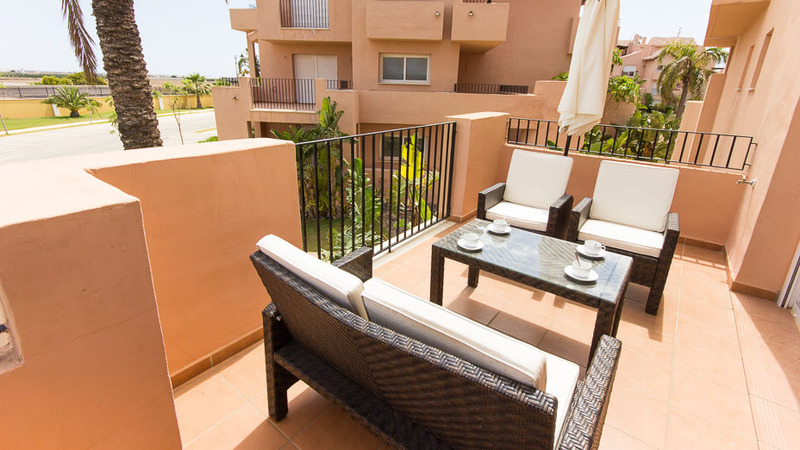 The accommodation comprises a spacious lounge with patio doors to the large terrace area, a well equipped kitchen, a master bedroom with access to the main terrace and an en-suite bathroom, a twin bedroom with terrace and a seperate shower room. 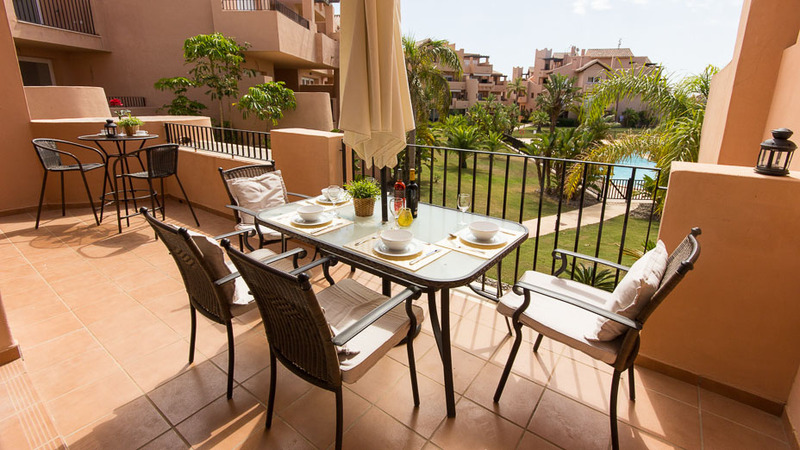 Outdoors the apartment enjoys wonderful views over the pool and golf course from its large terrace and also has an additional terrace off the 2nd bedroom with outdoor sofa set. 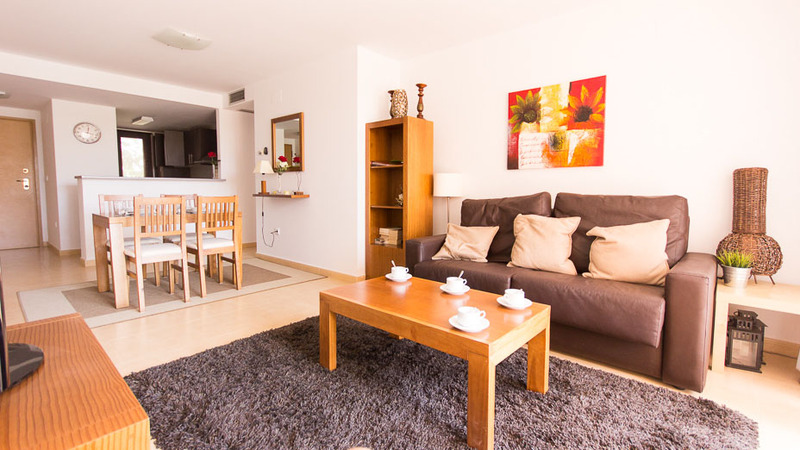 The apartment benefits from a designated underground parking space and use of a lovely communal swimming pool. 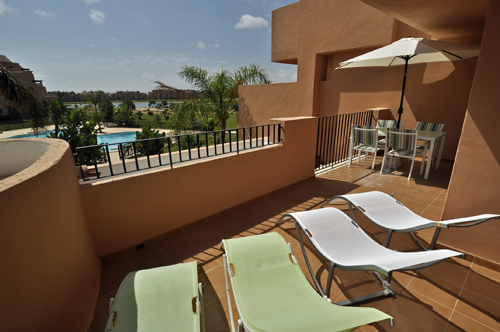 The apartments enjoys fantastic views over a golf course and a lovely pool area. 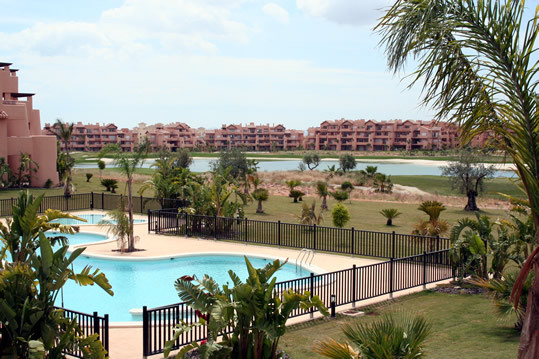 In particular the apartment faces the 13th, 14th and 15th holes and a lake that they surround. 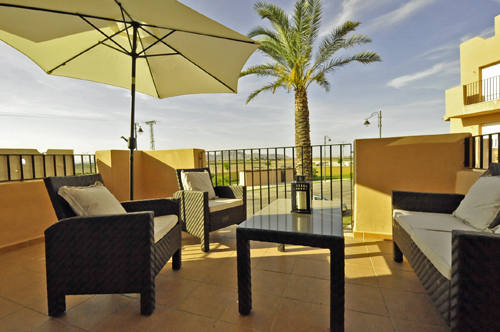 The resort centre and clubhouse are a 10 minute walk from the apartment. 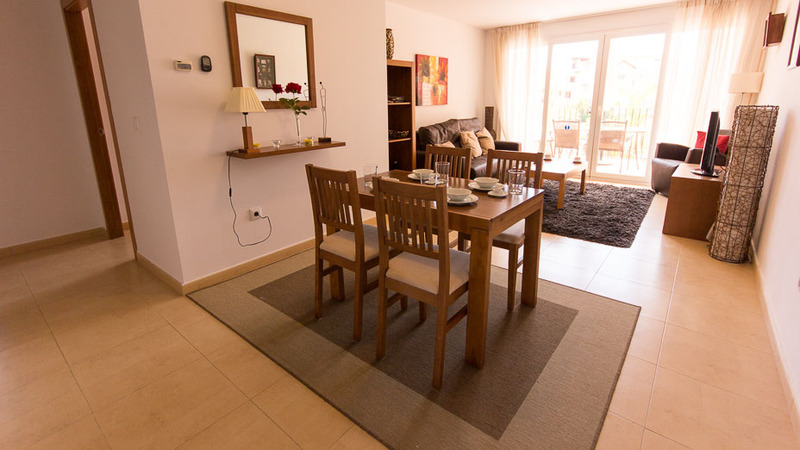 The apartment is on Calle Espliego, block 36.